Providing you the best range of bi drum fbc boiler, bi drum foot mounted boiler and foot mounted bi drum boiler with effective & timely delivery. 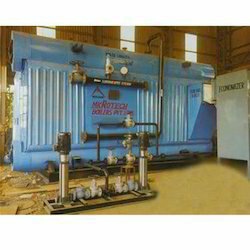 Our offered BI Drum FBC Boiler is highly appreciated in the market due to its reliability and performance that provides larger volume and offers faster load response. The uniquely designed drum internals can handle varying loads without circulation disruptions on carry over and provides high steam purity and ensure positive circulation. Furthermore, the furnace wall water cooling includes side walls and roof, eliminating refractory and its attendant maintenance. Pre-engineered design for predictable performance & no Teething Problems :The boilers offered by us are based on Bidrum Water Tube Babcock designs and incorporates operating experience. This experience ensures that you do not have to face teething problems during installation. 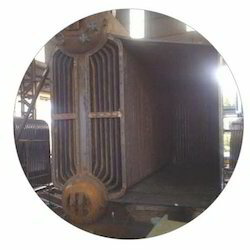 Maximum furnace wall cooling for higher efficiency & lower maintenance : Furnace wall water-cooling includes sidewalls, roof and floor, and high duty rear wall as well. This eliminates refractory and its attendant maintenance. This special feature of the FM boilers locate total water cooling where it is most needed and where it can contribute most to keeping maintenance costs down. Higher thermal efficiency for overall operating economy : The HCFM boilers are provided with compact finned tube economizers for increasing the boiler efficiency. The compact economizers also save precious space. 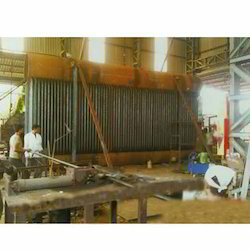 We with broad range capabilities are engaged in offering Foot Mounted BI Drum Boiler that is designed and created with use of industry grade components and under the guidance of our highly learned engineers. This is known for its effective and elevated performance to match the customers’ expectations. Additionally, this can be availed at leading market rates after a thorough check by our engineers to ensure compliance.